NUR-SULTAN – TripAdvisor, a global travel website, has recognised Air Astana as the winner of the Travelers’ Choice Awards 2019 for Regional Asian Carrier for the second year in a row. The airline was also named best in the new Passenger Comfort category. 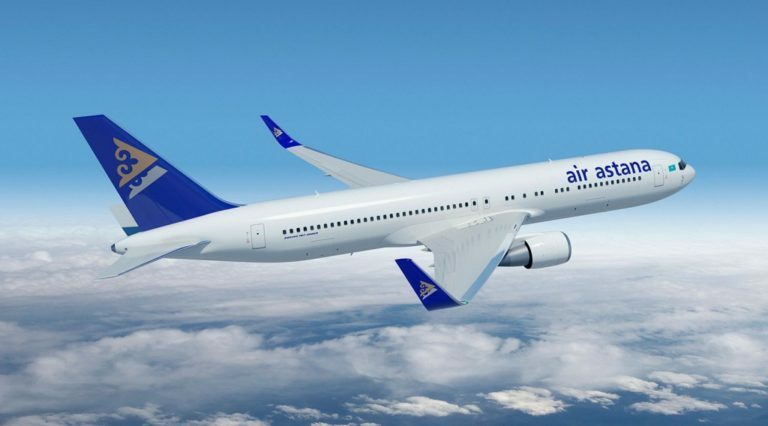 “Our airline demonstrates a constant commitment to the highest standards of service, and it is very gratifying that Air Astana has been declared the best again,” Air Astana President Peter Foster said. “I would like to express my gratitude to everyone who left their opinion about the trip on TripAdvisor, and hope for your continued support,” he added. Passengers said they like the airline’s on-board service, cabin cleanliness, food and drinks, comfortable seats, value for money, registration and entertainment system and the amount of space between the seats, which allowed the company to win a new category called Passenger Comfort. The best carriers were determined by an algorithm that considers the quantity and quality of reviews and ratings left by passengers during 2018. The Travellers ’ Choice Awards is awarded to the best airlines in seven regions, including Asia, Europe, North America, Latin America, the South Pacific and Oceania, and the Middle East. The award also marks airlines in four classes of service: international first class, business class, premium economy class and economy class. Award winners’ criteria are exceptional service, quality and value for money. TripAdvisor is an American travel and restaurant website company that shows hotel and restaurant reviews, accommodation bookings and other travel-related content with interactive travel forums. The company is headquartered in Needham, Massachusetts, and is the largest travel website in the world, with more than 315 million reviewers (active and inactive) and more than 500 million reviews of hotels, restaurants, attractions and other travel-related businesses. TripAdvisor was an early developer of user-generated content, which is free for users and generates profit from advertising at the website.